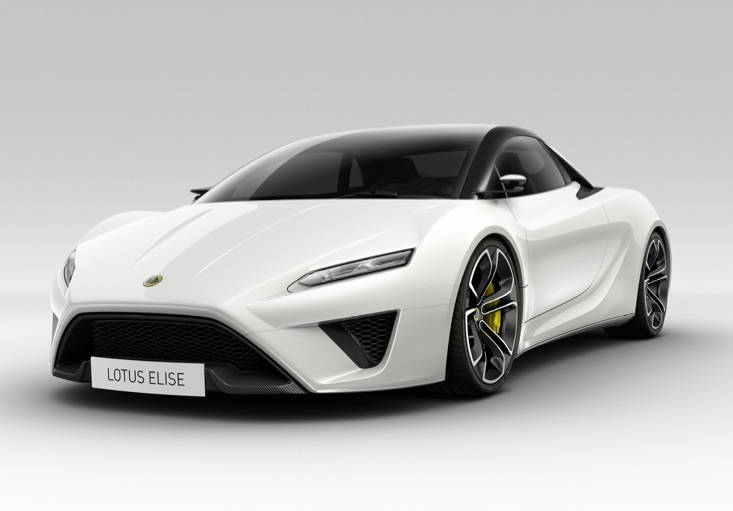 Lotus is stepping into the past for the names for its upcoming foursome of sports cars – planned for launch from 2014. The move into the price stratosphere mirrors Colin Chapman’s plans for the range back in the early ’70s, which brought us the good-looking Elite, Eclat and Esprit, so it’s only fitting that two of the new cars are named after their distant ancestors. Elise: A new 296bhp sports car conceived to battle the Audi TT-S/TT-RS and the Porsche Cayman. The car retains the mid-engined layout of the current Elise, but will cost well over £30,000. Elan: The Elise’s bigger brother is a V6-powered Porsche 911 rival, also mid-engined, and available in coupe and convertible forms. Expect prices to start at £70,000. 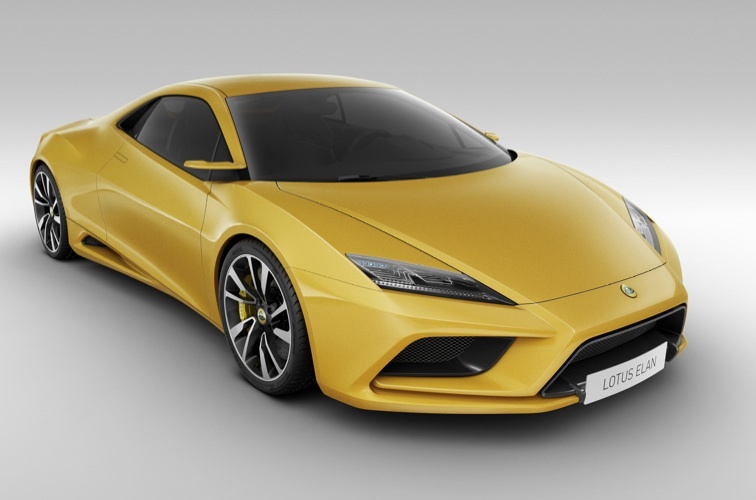 Esprit: We knew this one was coming thanks to Lotus’ sneak preview publicity campaign but, given that it will be powered by the Lexus IS-F engine and will reach a claimed 200mph, it’s far faster than we thought it would be. Expect it to go head to head with the Lamborghini Gallardo and McLaren MP4-12C. Elite: Previously unveiled as the hybrid-assisted £130,000 Aston Martin V8 Vantage rival. Eterne: A genuine four-door surprise and one that is hoped to steal sales from the Aston Martin Rapide and Porsche Panamera. 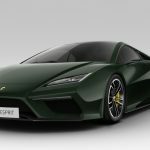 The two big questions that remain unanswered are whether Lotus can carry these cars into production and whether the name is sufficiently strong for buyers to consider one of these Hethel-built cars instead of the more traditional options from the grandee manufacturers. However, if the company’s sporting heritage can be emphasised in the coming years and its growing Motor Racing presence makes advances, Lotus may well be strong enough to scalp a few high profile players. They all look amazing. I didn’t realise that Lotus were still in business! Great news – let’s hope they actually get built. The new Elan and Elise look odd as the style does not translate well. They look good but don’t they have a small resemblance to Lambos? 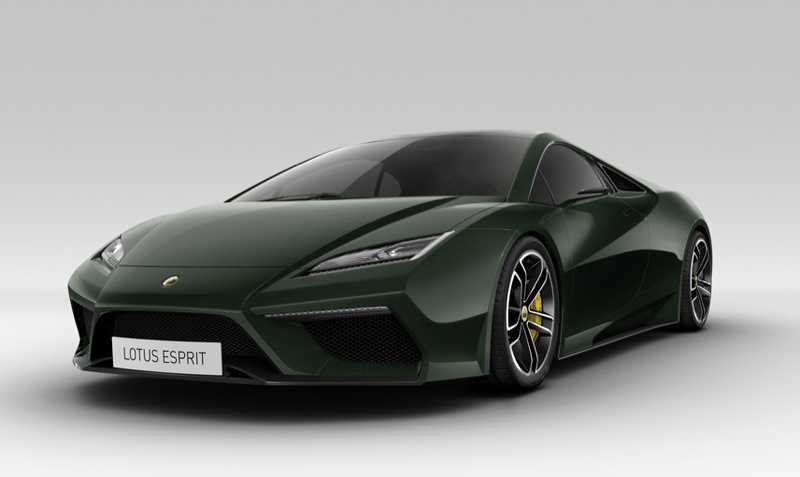 All very promising, although I, for one, hoped that the Esprit would have had visual styling cues from the previous generation Esprit models. The Lotus name has a long way to go to be taken seriously alongside marques such as Audi and Porsche, not to mention Aston Martin and Lamborghini. High levels of quality, finish and customer service are absolutely essential if Lotus wishes to get anywhere near these aspirations. I agree – I’d love to see some references to the Lotus of old somewhere. However, having said that, they are beautiful cars, and I hope they do crack the Ferrari/Lambo market! 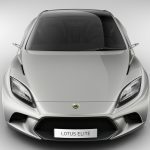 Launching, what is it four or five models, in such a short period is going to be a gargantuan task and for a relatively small company like Lotus. I have some serious doubts they can pull this off successfully. Look at TVR as a comparison – they did, indeed, launch many models in a short time frame but their relative reliability went to pot at the same time. Lotus need to team up with a serious bunch of professionals if they are to have any chance of enhancing their image and continuing to be a viable proposition. One side effect of launching so many models in such a short period, in my humble opinion, is that they are, in the main, too much alike. I hope and suspect the model launches will be stretched out and the designs changed somewhat before final launch. Nevertheless, it looks like it is going to be a really exciting period for Lotus. Wow! That’s ambitious. I can’t help but feel that Lotus have set the bar very high for themselves. I hope the plan works out but reckon that it raises three key questions. First, where’s all the money going to come from to develop and bring these cars to market? Second, if they manage to bring even one or two cars into production, will the build quality be high enough to justify their expected price tag? My third question is that, in moving a car as successful as the Elise has been upmarket, will they lose a lot of their loyal following? Perhaps a new “affordable” Lotus should be part of the plan too. I’m 50:50 on the Elise styling (though sure it will grow on me in time) but can’t see it ducking under 1000kg which is too heavy for an Elise IMO. Lots Of Trouble, Usually Serious… Someone in Norfolk has been sniffing the resin, but good luck to them there people in ‘Naaaaaaaaaaaarfolk’. They may be funded by the Malaysians but, come on, Lambo were bailed out by Ze Germans. They all look amazing, especially the Elan, such gorgeously crisp styling. Superb – I hope they do well!! 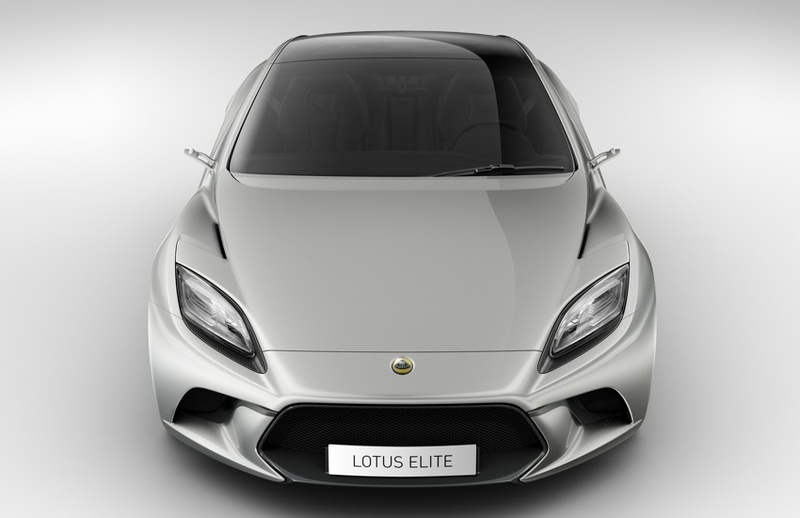 Unfortunately, they’ll be built like all Lotuses – promising and disappointing in equal measures. I’ve tried time and again to pluck up the courage to buy an Esprit but, however much my heart ached, my head (quite rightly!) overruled! 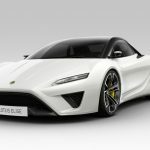 This is not only extremely ambitious for Lotus but, as I posted on my website (http://carsincontext.us/wpblog/index.php/2010/10/05/in-context-the-new-lotus/), it moves the company into direct competition with stronger, better established competitors. Legislation is moving the market toward Lotus and it is running away. However, what is increasingly apparent, is that there are some very large rifts appearing. First, the company will not be using a Toyota four-cylinder engine for the new Elise. My guess is that:- 1) the Petronas inline engine may finally find a home under the Elise’s hood, or 2) Lotus has created a version of Proton’s small four for use in this car and 3) Toyota will no longer support Lotus beyond the Camry V6 (Evora, Elan) and the Lexus IS-F V8 (just about everything else). I say this because initial plans for the Esprit included a supercharged V6 entry-level model and a low-volume, high-performance range-topper powered by the LF-A’s V10. 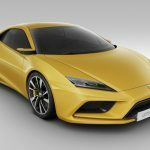 Toyota has nothing to lose by allowing Lotus use of the V8 as it increases production of that low-volume unit enough to improve its profitability, give Toyota room to create a more powerful version that can lunch off Lotus work and provides a “halo” for the motor. Second, the battle over the Team Lotus name is a continuation of the fight between CEO Dany Behar and Tony Fernandes. TF wanted a Malaysian F1 team, seized upon the fact that Lotus was Malay-owned, and made the first move. With the former Malaysian Prime Minister on his team, he had little trouble getting the remit to use the Lotus name. Over time, his professionalism and care for the Lotus heritage won over many doubters including, so my sources tell me, the Chapman family who admire what Fernandes has done and plans to do. Behar and Group Lotus, on the other hand, wanted Team Lotus to be in-house – their recent pronouncements about support for ART Grand Prix, run by FIA president Jean Todt’s son Nicholas, suggests they will be in F1 soon. Legally, if memory serves, Fernandes has the stronger case. David Hunt owned the Team Lotus name, having bought the rights which previously were owned by the Chapman family. Group Lotus never held claim to the team name. I suspect we will see an “arrangement” negotiated between Group Lotus and Fernandes eventually, with the latter losing the battle in exchange for new air routes or other enticements for his airline. All these recent developments only strengthen my belief that Lotus eventually will be for sale. Investment bankers were at Paris to see the unveiling of the new cars as part of a dog-and-pony show designed to get them to invest in Proton’s and Bahar’s grand scheme. Proton claimed it had two choices, either to fire sale Lotus or build it up, but a third is very real and unspoken. It has the opportunity to increase the investment in the company in an effort to make it look stronger and more stable than ever before, while preparing to drastically reduce or eliminate its stake in the firm. That may be what is happening now. During my years as Communications Director for Lotus in the U.S. (1996-2000), I watched as the company lurched from crisis to crisis, making one bad decision after another, all supported by the Malaysians on the ground in Hethel. The Elise was prevented from coming to the U.S. for many years, despite the efforts of men like Roger Becker to find innovative ways to sell the car in North America, even to the point of establishing a satellite production facility in partnership with others. Stonewalling by management saw the U.S. Elise morph from a $30,000 version of the original to the Monaco and Monza projects and nearly die on the vine. Only Becker’s determination forced Lotus to act. With the help of Lotus Cars USA CEO Arnie Johnson, Becker secured a Toyota Celica GT, had it shipped to Hethel, stripped the engine out and placed it in a development hack, all to prove that his scheme – backed by dear friends of his at Toyota – would work. Without Becker’s intestinal fortitude, the Elise and Exige never would have made it to these shores and the Evora never would have followed. I don’t know how truly “expert” I am, but I am passionate – perhaps too much so. The development story might be a bit tough as the main protagonist has gone into radio silence… and I know just enough to be dangerous!